Now available for sale at our web store and at DrivethruRPG! 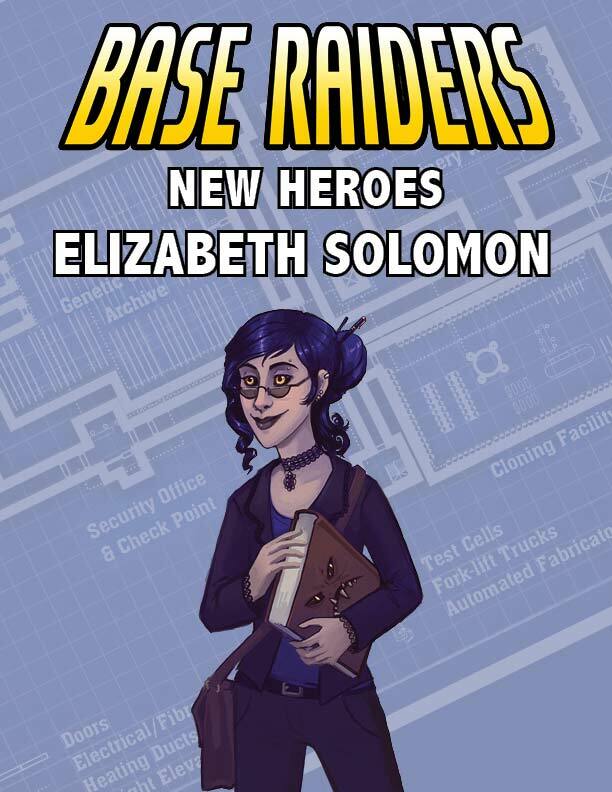 Elizabeth Solomon wanted to become a vampire and found her own way after raiding a base, but she’s only just gotten started! Even though she’s undead, she prefers to get her sustenance from her part time job at a blood bank. As a hobby, Elizabeth uses her knowledge of the occult to investigate supernatural mysteries and help heroic base raiders. Of course, vampire hunters don’t see the distinction between her and the other undead, but no one’s life is perfect, right? 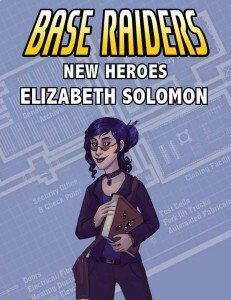 This PDF contains a full write up of Elizabeth Solomon as a medium power hero. She can be used as a player character or NPC for any Base Raiders game. It includes her full stats and powers, including using her as a high power hero, and a scenario seed featuring her, vampire hunters, and more!